Floral prints are the hot pick for spring 2013. This gorgeous Loeffler Randall sandal is my top pick to wear this trend; for the charm and simplicity of this design is as light as a spring breeze. I simply adore these wonderful prints by Obvious State which put me in the perfect Parisian State of Mind. I am thinking of getting these for my office for their sheer simplicity and beauty. 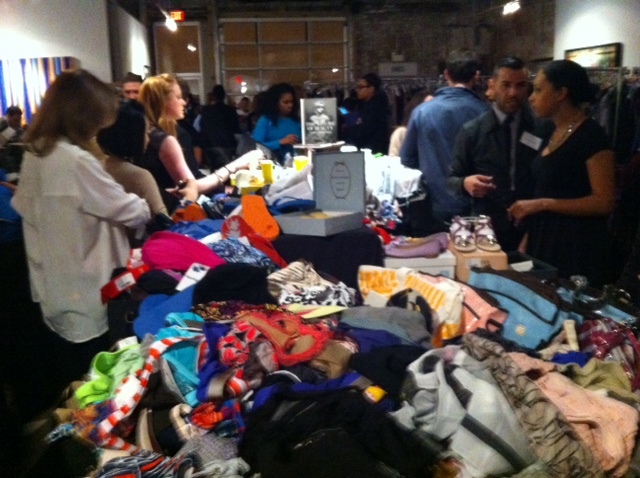 I received a special opportunity to attend the media”first look” at the Gilt City Warehouse Sale this weekend. The impeccable choices and enthusiastic crowd made for a special evening. I have to admit my heart was broken when I saw a beautiful pair of Repetto ballet flats, sitting on the shoe table practically winking at me, and as I went up to meet my heart’s delight I sadly discovered the shoes were a size 6. Thankfully, my heart was consoled at the site of a beautiful Tai bracelet of leather and stones of a beautiful robin’s egg shade; and as for my search for Repetto flats that is just another reason that I need to head to Paris this year. The set up of the sale felt like an fabulous boutique. The shopping choices were abundantly beautiful but took the act of ‘shopping’ to a competitive level. 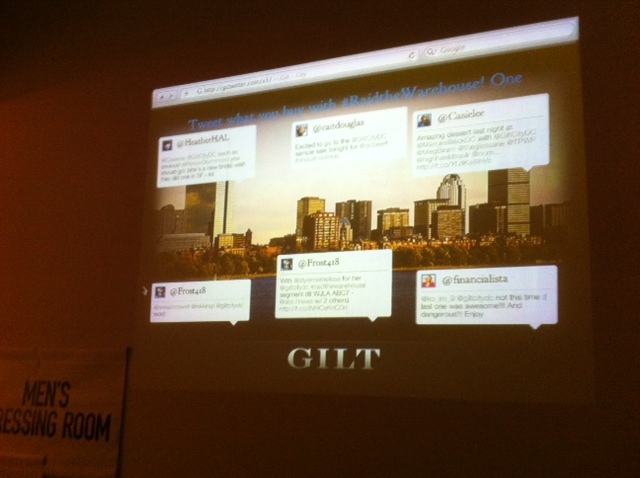 The Gilt related Tweets were fast and furious as attendees couldn’t help but share the good news of their fantastic buys. Until next year Gilt, till then I will find you online. The era of Google Glass is upon us and ready or not it will be arriving to your world sooner or later. So how do you prepare for Google Glass? Well, if you are one of those who Tweeted what they would do with Google glass at #ifihadglass you may just be one of the lucky Beta testers. If you didn’t compete in this contest you still need to know a few things about Google Glass. 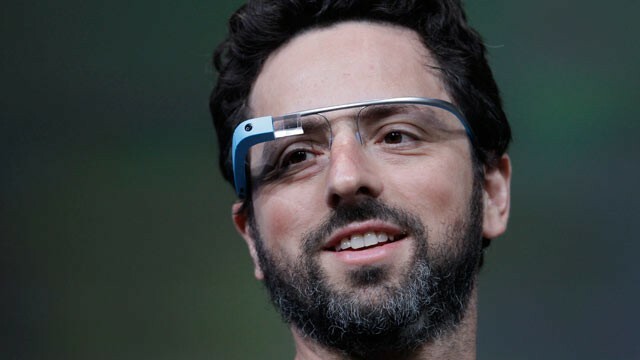 Google Glass will contain apps similar to those found on a mobile/tablet device and the first round of applications that will work on Glass include: Gmail, Evernote, Path and the New York Times. The New York Times app shows headlines and Google Glass can read ‘aloud’ a summary of the article, voice recognition allows users to answer emails, and photos can be taken and shared with Evernote. The most groundbreaking and debated Glass feature is the ability to take videos, audio and photos of people in public places and a debate has already begun as ‘right to privacy’ issues emerge even before the product has been released. Public places like the 5 Point Cafe in trendy and tech savvy Seattle have already banned Google Glass in the bar and this half-joking, half-serious ban uses tags with Geeks, Google and Public Embarrassment . The biggest debate will come when Glass is used in schools, work, parks, airports, hotels and the subsequent videotaping which can create legal confusion in states making it illegal to record anyone without their permission. It is important to be aware of this technology and how it can impact your life. And while you decide on how you feel about Google Glass, you should be prepared in case you do get videotaped or photographed because there is nothing worse than a bad looking photo popping up online. To keep yourself looking your best for your first Google Glass close-up you should consider HD makeup. Because High-def (HD) cameras expose wrinkles, blemishes and imperfections very easily and TV sets can project larger images with 2 to 5 times the resolution of analog sets, high-definition is a good choice since it blends easily with the skin and gives a fresh and perfect look. 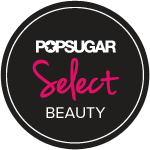 HD makeup also sits on ‘top’ of the skin, not settling into pores while reflecting light and plumping up the skin to make lines and wrinkles less noticeable. 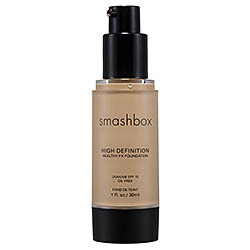 Smashbox High Definition Healthy FX Foundation not only makes you look great in HD but is loaded with UVA/UVB SPF 15 sun protection. 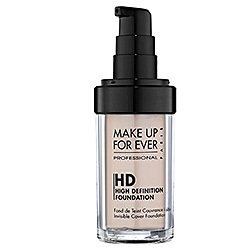 HD Invisible Cover Foundation is oil-free and gives a soft-focus effect and gives a flawless finish in harsh or bright light. 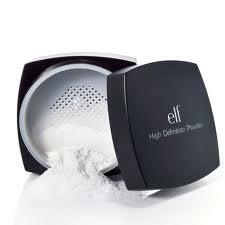 E.L.F Studio High Definition Powder is a light, sheer and transparent powder that you can wear over makeup to create a soft look. Don’t forget when you use HD makeup to cover you neck to provide complete and flawless coverage. I hope women and men take note of this tech and beauty news because this evolution into a new world where public and private lives collide should make everyone aware of the opportunity for their image and brand to be online anywhere at anytime. 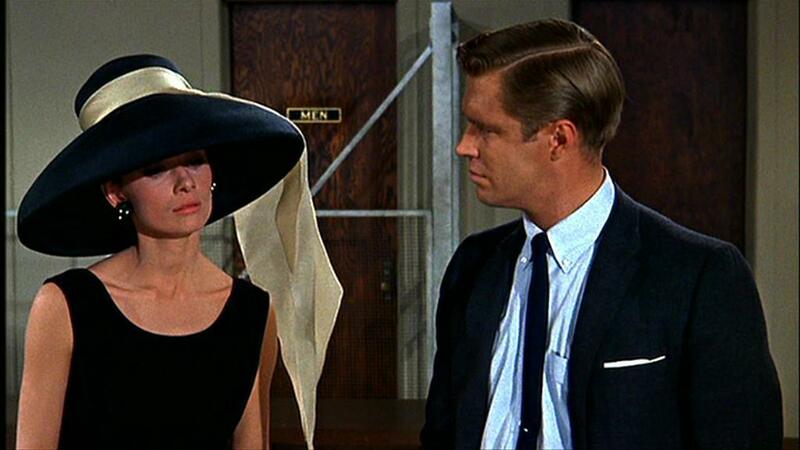 Breakfast at Tiffany’s is the beloved romantic movie featuring Audrey Hepburn and George Peppard set in New York City. Complicated, elegant and perfectly charming this movie has remained an enduring classic and now the stage adaptation of Truman Capote’s “Breakfast at Tiffany’s“ heads to broadway. 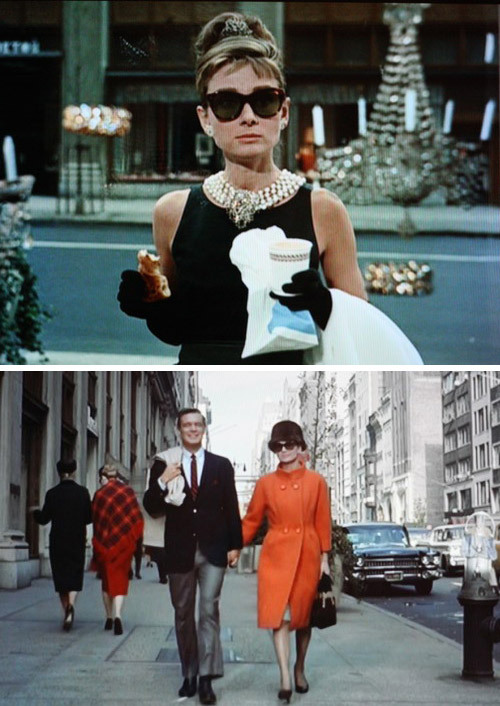 Opening on Broadway on March 20 in a limited engagement, Academy Award-winning costume designer Colleen Atwood, has collaborated with long-time Target partners Sonia Kashuk and Umberto to create the signature Holly Golightly makeup and hair look for the show. Game of Thrones star Emilia Clarke will be playing Holly and this adaptation shows a much darker character complete with a fresh makeup look that is iconic of beauty from the 1940’s. Audrey Hepburn and George Peppard strolling down a New York City street. In the Broadway version, Holly sports a style suited to the 1940s—the actual time period in which this iconic novella is set. This new Miss Golightly is styled with polished, porcelain skin, refined hair and a bold, bright lip. It’s a look that never goes out of style and is as timeless as the character herself. 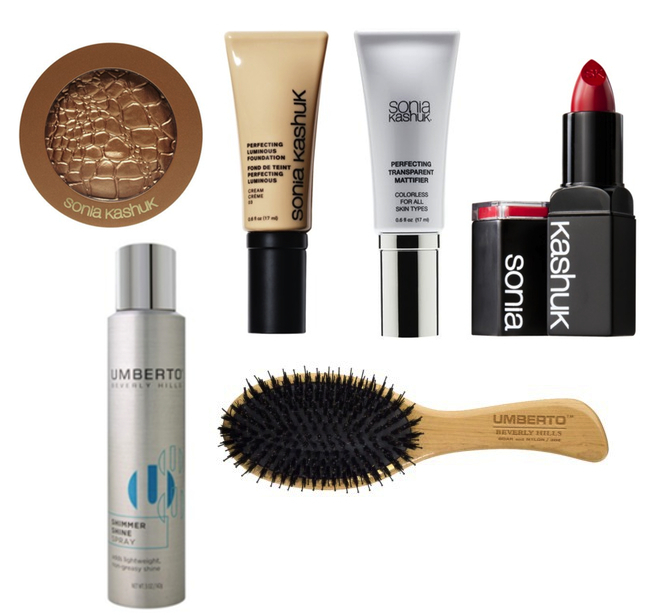 You can achieve the same stunning look for yourself using Target’s exclusive beauty and hair care lines. Get ready for the Gilt City Warehouse Sale on March 22 and March 23 at Long View Gallery in Washington, DC. 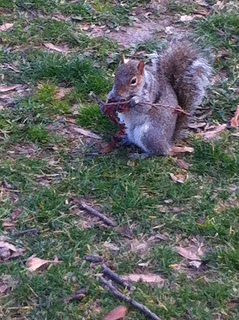 Here is a photograph of a DC Squirrel hanging out in the park near the White House. I noticed this little cutie enjoying a little snack before dinner when I was walking home from work at the State Department. My photo essay follows in the steps of a “Cardinal Study in Central Park“.